With his pictures and video surfacing almost every single day, we don’t need any more proofs to know that Taimur Ali Khan is media’s favourite celeb kid. However, this unwanted attention has started to get on his parents’ nerves. 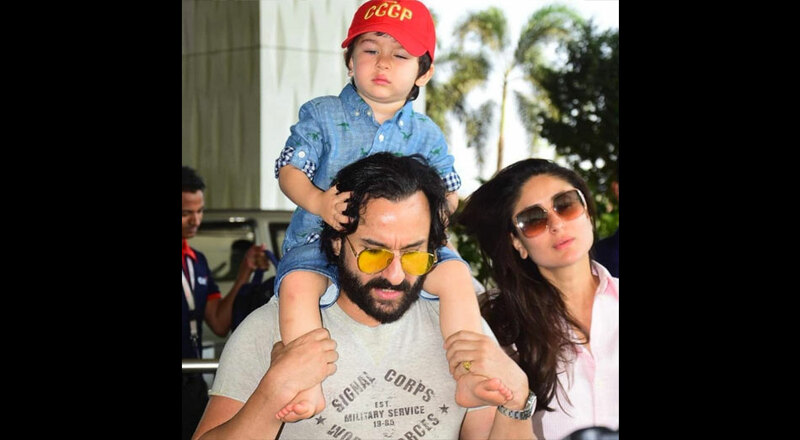 Saif Ali Khan and Kareena Kapoor Khan were spotted at the Mumbai airport along with the Taimur and as the papz focused their camera flashes towards Taimur, Saif got very annoyed. While Saif was in a bad mood, Taimur looked cute as button perched on his father’s shoulder clad in his chambray shirt and shorts which he had teamed with a big red cap.